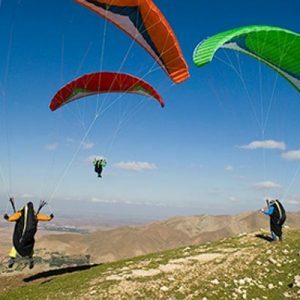 In Andalucia, southern Spain, you will find the best weather for paragliding, especially in autumn and spring, but you can fly all year round... even in winter! 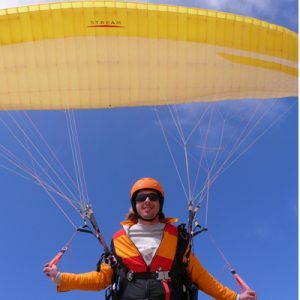 It does not matter if you are a beginner or an expert paragliding pilot, here you can find good flying sites and there are easy and huge landing areas for beginners and easy and understandable XC flights. Pilot level: Any level. The official west landing field is not good for beginners, but there are easier landing options. 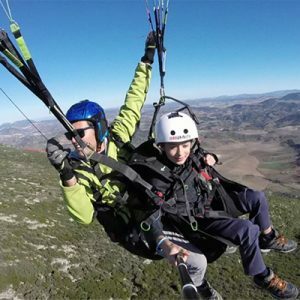 Algodonales is one of the best flying areas of Southern Spain and one of the most popular in Europe, especially in autumn and winter, when the conditions for flying are still good. 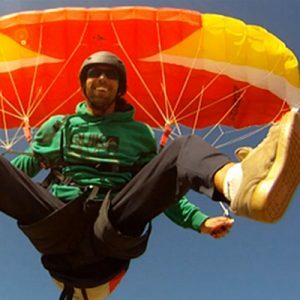 Our paragliding school is based right here. It is a great thermal site and has good cross-country potential, even for pilots who are looking for their first XC flight... it is a very easy place, full of landing areas. 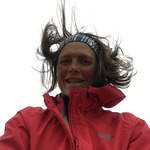 Wind directions: North, North-West, South. "Ronda la Vieja" is the name that the locals call to the place where the Roman town of Acinipo was. Nowadays, You can fly over the ruins of the theater. 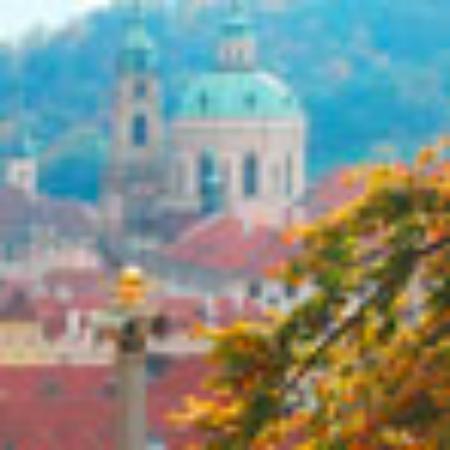 It is one of our favorite sites for teaching beginners. 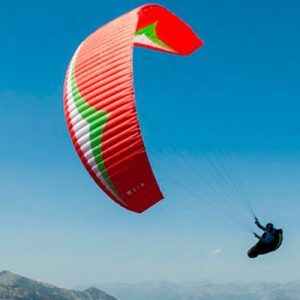 Here they can make an easy top to bottom flights and it is ideal for the first soaring flights or top landing training. 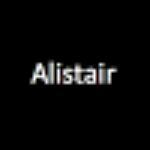 This is a private site. 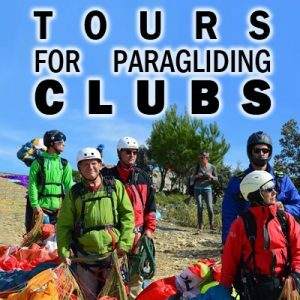 You have to contact the local Club or with ZEROGRAVITY PARAGLIDING SCHOOL before flying here. 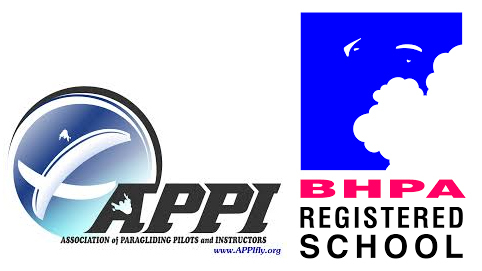 The security of a private flying site allows us to ensure safe paragliding tuition without limitation of having to share the space with other pilots. 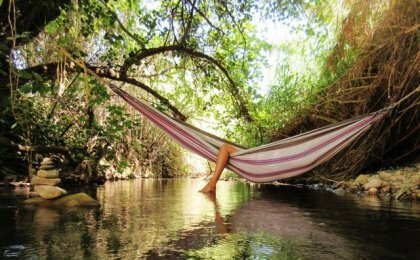 El Bosque is situated on the edge of the Grazalema Natural Park, so if you take altitude you will enjoy the fantastic views of these beautiful mountains. 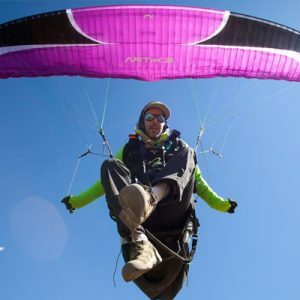 The flying conditions are so good here that the locals talk about "la magia de El Bosque" (The El Bosque Magico)... when the wind is too strong for flying at Algodonales it is probably not bad here! What to say about this place?... just a paradise for your senses: the sea, the beach, the marine breeze,... and 20 kilometers of sand dunes for flying! Wind directions: North, North-West, East. Have you flown in a town ever?... here, you can: the takeoff spot is located just at the end of the street. This place is ideal for beginners; they can make a lot of top to bottom flights because the driving to the take off from the landing area takes just five minutes, and the landing field is massive. 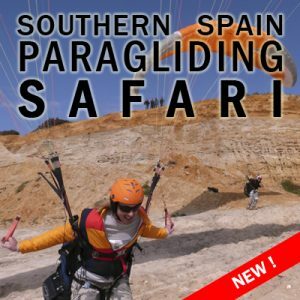 It is also a good place for soaring, but you must be careful if you fly very high because you can find some big planes on the way to Malaga airport. When the wind blows from the NE, everybody goes to Montellano... this flying site is usually very busy because there are not more places around to fly with this wind direction. There are two takeoffs: the lowest is only 20 meters high, but the lift works very well when the wind is strong. The landing fields are private and it is forbidden to land on them during the crop season (top landing is possible). 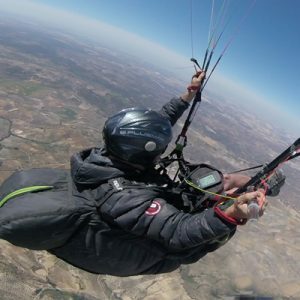 With the good conditions, some Xc flights are possible here and, if you do the right things, you could finish your flight on the beach at Sanlucar de Barrameda, drinking a glass of manzanilla and eating the best prawns in the world. 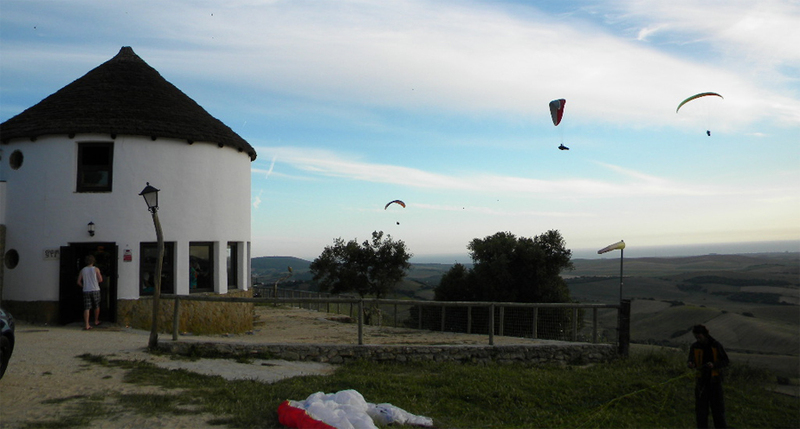 When the "levante" wind is too strong to fly at Algodonales we move to Lucena, where the wind normally is lighter. This is a great spot for students because there is a good landing area and a nice road to the top which makes the rotations very quickly and allows the students to make a lot of flights. But it is a great place for cross-country too; many flights of 200 km have been done from here! 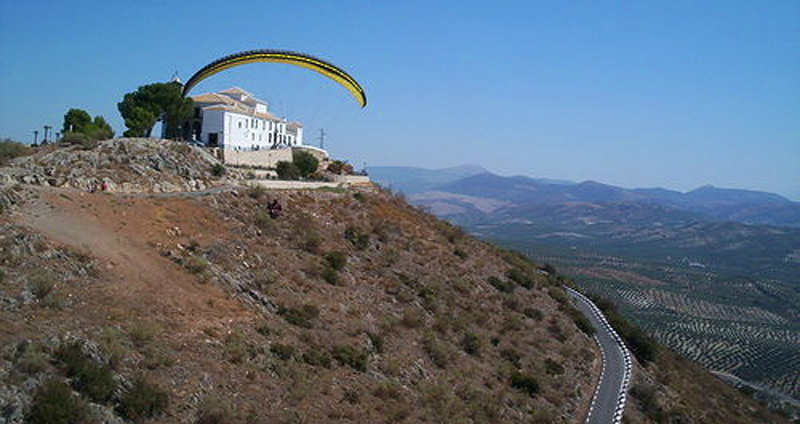 Nice place to enjoy a soaring flight above one of the most beautiful white villages in Andalucia in front of the Atlantic. 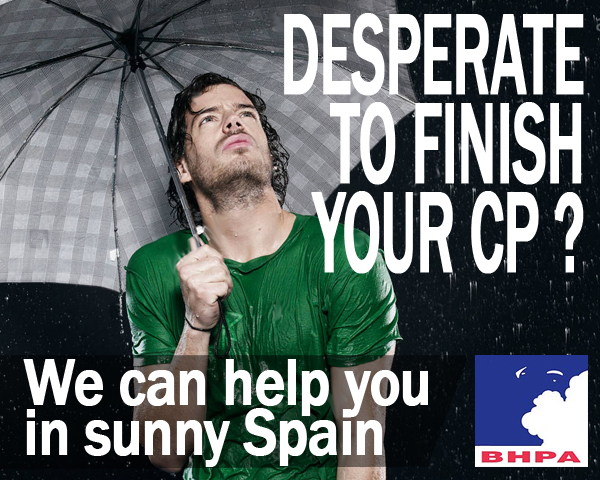 A few minutes from the natural beaches of Conil and Caños de Meca. The take-off is a bit small, but there is a chill-out cafe just a few meters away!